If you have followed Tierra’s pant collections throughout the years you have surely noticed two specific characteristics: Tierra’s unique side pockets and waist adjuster. Both details have been around for a long time, since 2008 and 2010 respectively, and originates from clothes designed for climbing. The details have stayed with us since then and are today featured in all sorts of pant styles, such as Häggsta, Correspondent, Pace and Sta. The old style called Blikk Pant that was developed in 2008 was the first pant with this unique construction and placement of pocket. 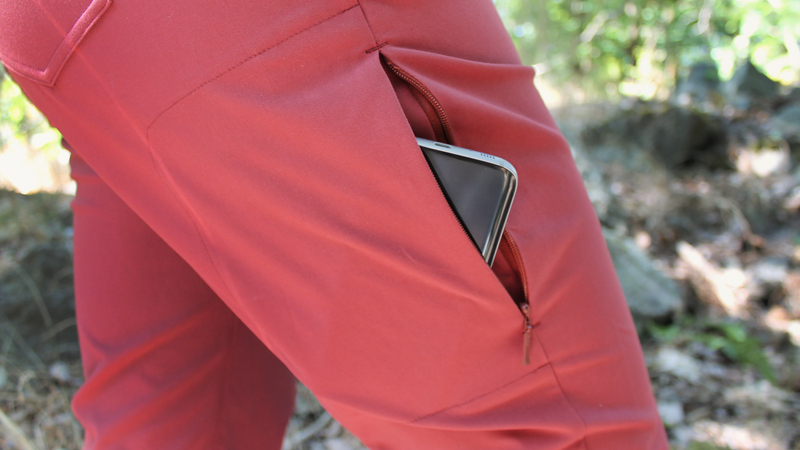 It is surely common to have side pockets on functional pants, but they are usually designed forward, whilst Tierra’s side pockets are designed backwards. The idea came from the fact that front pockets can appear annoying when you bend or sit down, since the fabric gets tense. Especially when you want to store hard things like your phone or keys. Some users have been sceptical towards the placement of pockets at first, but they quickly changed their minds as soon as they started to wear the pants. The pockets are both easy to reach and do not disturb when you sit down. Besides that, they are placed so that the climbing harness is placed right above when used for climbing. In fact, the name “Layback” is taken from the climbing move with the same name, which means leaning backwards. 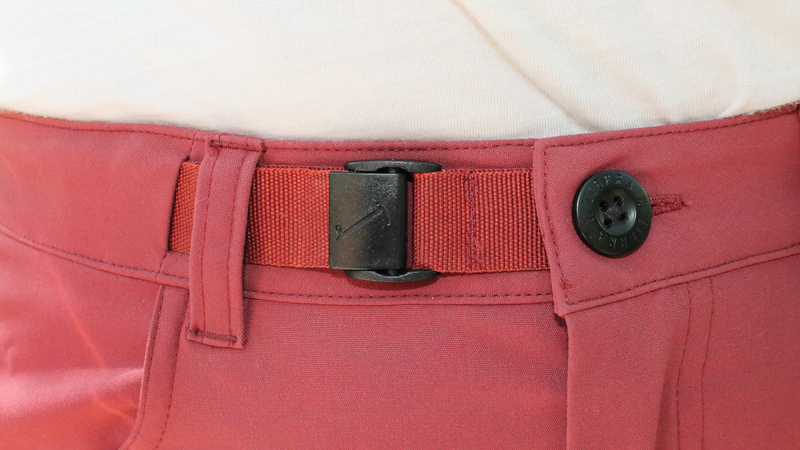 A number of Tierra-pants are designed with this typical waist adjuster. The idea came alive when our Head of Product Development Erik Blomberg wanted to have an adjustable pant that still would be easy to open and close with a button. He also wanted to avoid the wrinkles that usually comes with Velcro tape or elastic band. The solution was to put a webbing that goes through the whole waist and that is secured in the buttonhole. This way you only need to adjust the pant to the right waist size once, and then use them in the regular way with one button. No hassle with an extra belt or buckle. The pants don’t have a need for belt loops which creates a clean design, and they are comfortable to wear under a climbing harness.